Simulation can be used to reduce the time and cost to develop a new technology. 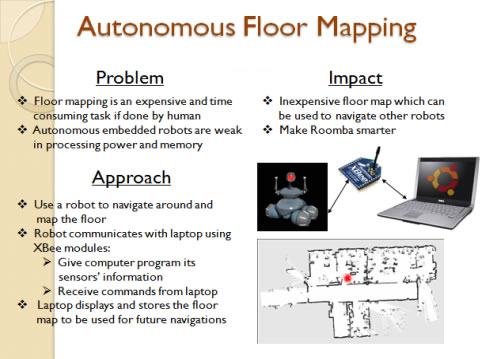 This paper describes the development of an autonomous floor mapping robot. In order to reduce the cost of building prototypes to test the program, we used the Simbad 3D simulator. To test in a more realistic environment, we established a way to control objects in a virtual world Second Life. 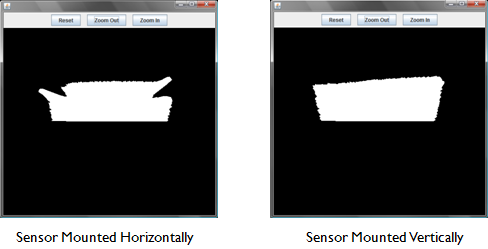 Then, for the hardware part, we built a low cost robot with cheap but accurate Sharp IR sensors with a regular optical mouse.